Honest Joe! August 2017 Worship together! This month’s series looks at the life of faith through the lens of Joseph, son of Israel/Jacob. He was the pampered youngest son of a family that put the fun in dis-functional. We will explore four answers to the questions we have about faith in real life and in real time. Joseph’s story is an important cross road in both Jewish and Christian history. Join me in studying through his story! Joseph is more than a colorful coat! Our Children at Cheatham Memorial UMC have been challenging us to “Have a Hear Like Jesus” and the. Grown up Kids are going to try to keep up this summer. Each of our June and July Sermons will explore one aspect of Jesus’ heart and how we can adopt this for ourselves. This is where a healthier life comes from. Expect practical ways to find this heart in yourself. Here is where we are coming from: Our Mission: Making Disciples of Jesus Christ for the transformation of the World. Our Vision: We are Christ’s Love in Action: Following Christ, Serving Others, and Unifying the Church. Our Drivers: Loving God’s Word, Deepening the life of Prayer and developing ministering Skills. Are you looking. For a church home? Maybe its been a while since you have been? Our family is very warm and easy to break in to. Come Check us out on Sundays at 10:00 AM. Click here to go to our website for more details. The heart of Jesus is never a stagnant pool but a rushing and refreshing river. 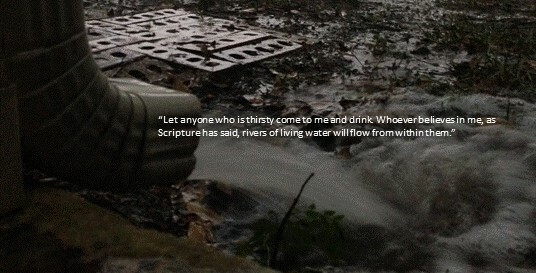 With living water flowing from us, everyone gets “wet”! The heart of Jesus is people focused but Spirit driven. People and relationship are our priority but we also have a mission to accomplish. How do we keep that in balance? “We are justified by faith”. What does that really mean? It means that we begin with the heart of Jesus which is right with God and just toward God’s people. The heart of Jesus knows what sin is and how to die to that sin. That means that the Christian is new every morning. Rather than carry the many burdens of yesterday, Jesus moves us forward to significant living here and hereafter. Matthew 10:40-42 Have a Heart like Jesus: A Heart in Action. A heart of Jesus knows that love and faith are verbs. We will pray for our nation and move our feet to faith driven and spirit led action. The heart of Jesus has a still center. This is not natural nor is it a part of our frantic culture . Stillness in the storm is a discipline that lets Jesus carry the load while we move forward in the work of building his kingdom. Jesus has a heard that is free and focused on God. From this heart our words match our action and we become a living witness to the amazing”raised up” grace of Jesus. Genesis 28:10-19 Have a Heart like Jesus: A Heart that Dreams. Life is a journey with many milestones. The heart of Jesus is one that is not afraid to dream. We have a lot of mundane and everyday things that wear us down. Dreaming God sized dreams fill us up! The heart of Jesus prays large and confident prayers that are more than merely words. When things do seem to “all work together for good”, we need to pray from the Holy Spirit, our place of strength. August will continue a similar theme as we look toward the “NEW YEAR’S DAY” of back to school. August 20 will be a children’s service and honor our teachers. May Marks our “ A Day of New Beginnings”. Easter marches into Pentecost with new opportunities to grow in Christ. Cheatham Memorial United Methodist Church invites you to join us for worship at 10:00 AM each Sunday. Click Here to learn more about our active and loving church family. Make church worship and service a part of your new beginning. John 10:1-10 “Hey Porter!” This rich parable has a special meaning to the resurrected Church. Where are you in this story? I want to be the gatekeeper. John 14:1-14 “Which Way’s What” Followership is the first step in leadership and discipleship. What way do we go and how do we know? This is a lesson in listening to the Holy Spirit. 1 Peter 3:13-22 “Free to Obey” Obedience isn’t giving in and being tied down. There is great freedom in knowing Christ through obedience. Acts 1:1-11 “Lifted to life” Jesus was lifted to his rightful place-he did not jump up there. In Christ we are lifted up. Not by our own strength, but the very hand of God’s grace. This marks a new year for us to minister together! We need a breakthrough. In our hearts, homes and communities we need that breakthrough of awareness of God. God is already at work in the parts of our lives that hold us spiritually hostage. Have we intentionally sought God? Have we taken personal responsibility for a breakthrough of Grace. What we lack is the intimacy with God that is key to breaking the chains. Where is God moving in your life? What is holding you hostage-habits, addiction, relationship, employment, finances fear, health, or other? The sermons are a 5 part journey through Acts . We will gather each Wednesday Evening at 5:30 for studies, centered on our Spiritual Gifts and practices. We will have many of our traditions but our goal is to be prepared for a personal, walking around, and living resurrection. Matthew 4:1-11 “The Desert Journey”. We are setting the stage for our Lenten preparation by meeting in the desert. In the desert we are all on the same level and totally reliant on God. The contest for the Christ’s will is the same temptations that we experience in our daily living. Where will our BREAKTHROUGH come? It starts with intentionally becoming more intimate with God. Pentecost started a spiritual fire in the homes and workplaces of the believers. After the overwhelming breakthrough, the new “Christian” community responded by church worship, personal worship, prayer, charity, and fellowship. Faith was for everyday living. Where are we being led to take the Pentecost fire? The walk with Christ is free of charge but very Costly. What will we pay? What riches will be receive? Acts 8:25-40 “Living Water Alive” (This is my study text for the series. We wear our baptisms and others find the living water for themselves. There is not shame in needing a guide! In our words, ways and relationships, we will share our water with others. Paul’s conversion mirrors the Christ at the mount of Transfiguration. Where did God meet you on the road. Where is the road before you headed? God is made known to us with the images and experiences of daily living. God is shared with those who live with and around us. It is not accidental that we have the story in the exact way we need to share with those around us. April 9: Palm Sunday: with a reading by a child at the beginning, A Children’s Play, Special Music, Procession of Palms! Matthew 21:1-11 read by a young person or persons and possibly using the “Voice” version as a format. Help me read the 29th chapter of acts! Oh wait, you must write it first. The Holy Spirit is writing it through you! Thank you Terry Teykl-Check out his book here! We will focus our attention on a Good Friday ,“7 Final Words Service, with several speakers . We will also offer a prayer Labyrinth and a time of praying through the Scriptural Stations of the Cross. Pat and are using the stations with Children’s Church. We will plan further use of the art work throughout the church.